Legend has it that the poinsettia made its first appearance in the hands of a poor Mexican girl, named Pepita, who had no gift to present the baby Jesus on Christmas Eve. Pepita created a bouquet of weeds gathered from the side of the road. But realizing they were a sad excuse for a gift, she fought back tears as she approached the altar where there was a statue of Jesus. As she handed them over, she happened to glance down and see that her weeds miraculously transformed into a red bouquet of flowers — poinsettias. 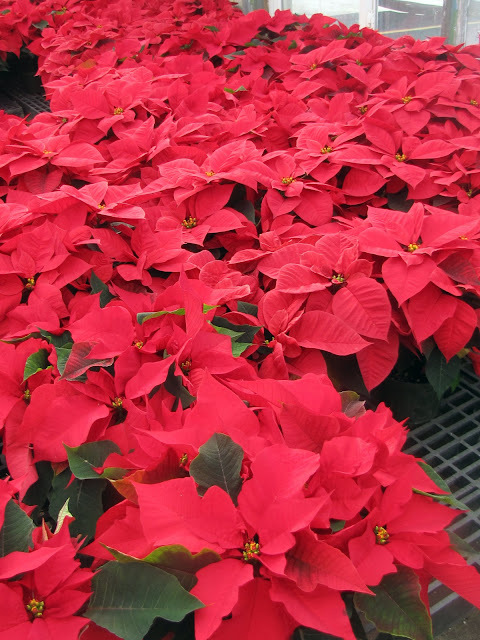 When we went to pick out a Christmas tree I was amazed at all the Poinsettias. The colors in the pictures do not do it justice. and the rich, vibrant red is gorgeous! I love poinsettias too. Like many of the things w associate with Christmas, we don't experience them where I live. Because poinsettias are a winter plant the main ones we have around Christmas are silk ones lol. Or ones that have been grown indoors artificially where it's kept cool. So pretty...mine are damn near dead...I'm buying fake ones as soon as they go on clearance! Love all the different colors except not really a fan of the dyed sparkle ones...I saw purple and blue ones! Have great day! Gorgeous photos! I didn't know the legend behind the plant-thanks for sharing! Beautiful poinsettas... which reminds me that I haven't gotten one , yet. :)I'll have to remember on my next shopping trip!!! 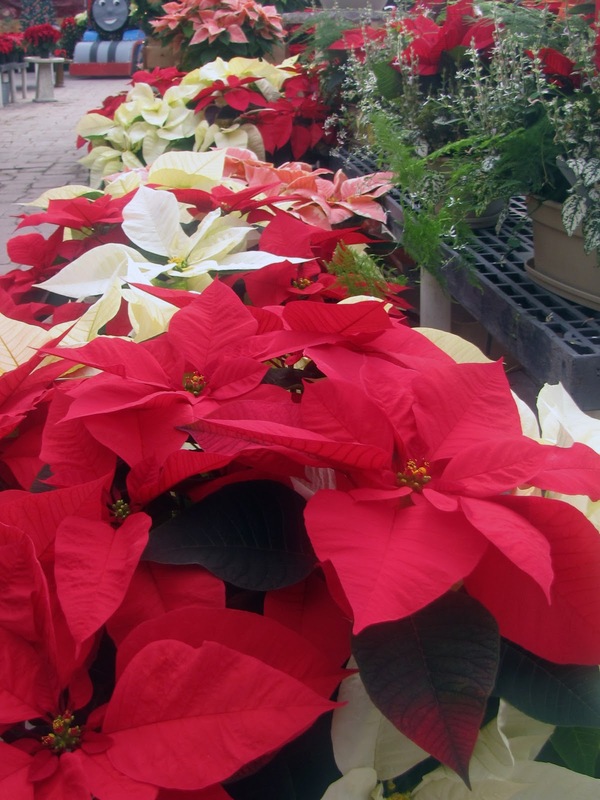 I love poinsettas and have never heard this story! How fun. I rarely have them anymore, because they are toxic to pets. None of my pets really chew on plants, but still, it makes me nervous! So instead I admire them in pretty photos like the ones you took. Love those vivid reds! Thank you for sharing! 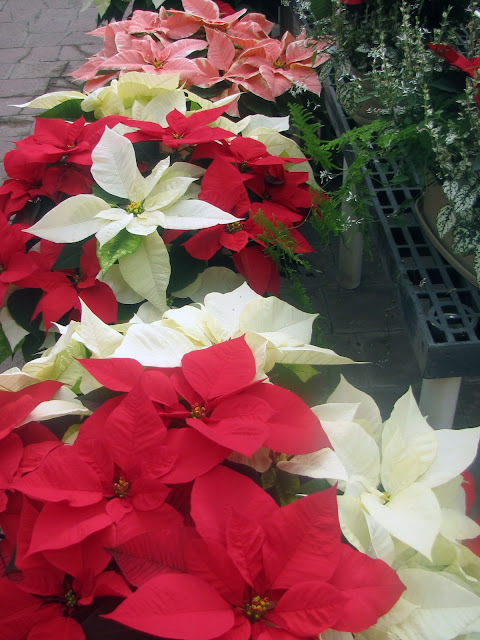 Now I want to go out in get a poinsettia and read our Tomie dePaola's Legend of the Poinsettia book! I just want to say Tami you are too sweet and I have no idea how you keep up with everything!! Do you ever sleep!!! Liebe Tami, das sind wunderbare Weihnachtssterne! Ich kaufe sie auch gern, aber leider halten sie nur eine Saison bei mir. Ich habe Dir auf meinem Blog auf Deinen Kommentar geantwortet!